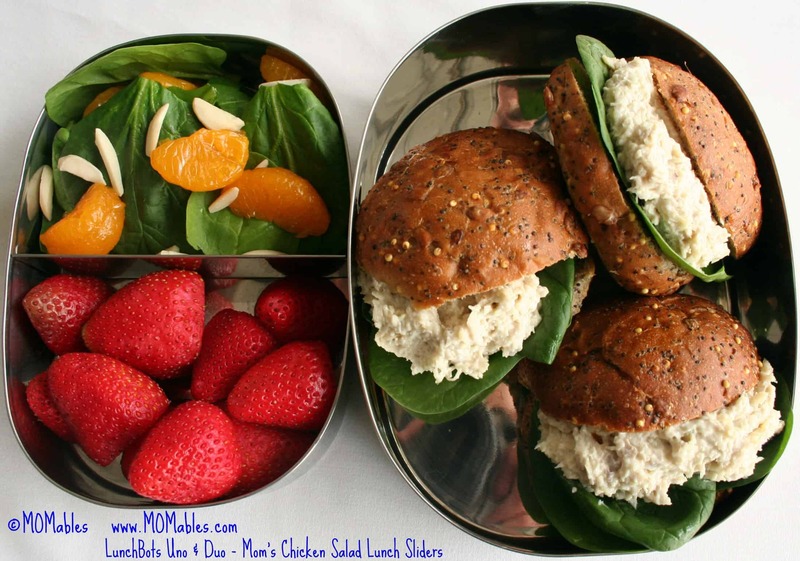 LunchBots: Sturdy, Fun, and Versatile - MOMables® - Good Food. Plan on it! 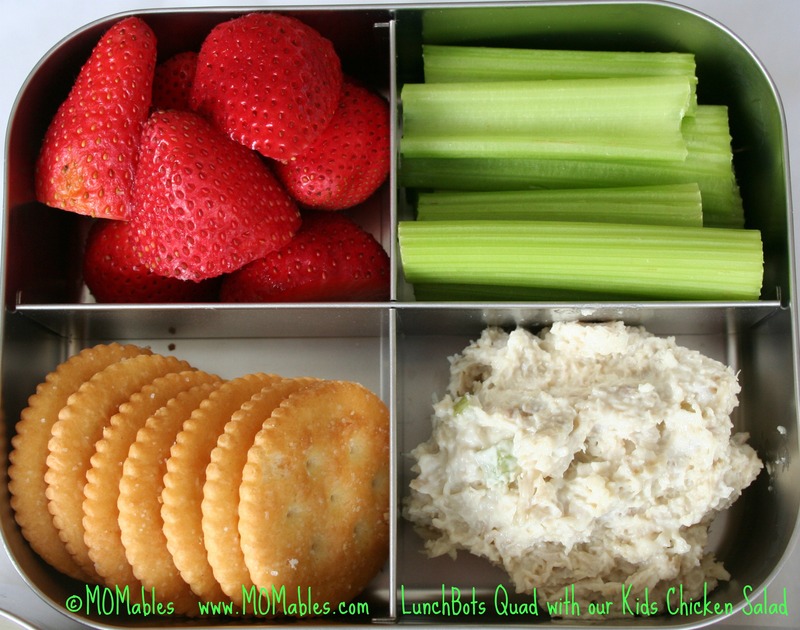 LunchBots: Sturdy, Fun, and Versatile - MOMables® - Good Food. Plan on it! For someone who packs lunches daily for a household of three, using waste-free materials is important to me. They need to be sturdy enough to stand the abuse of a six year old, aesthetically pleasing so that the fella won’t think they’re too “cutesy” to carry at work, convenient for packing healthy foods, and easy to clean. Especially since I am my family’s dishwasher! LunchBots has four stainless steel containers that meet all those needs and my family loves. 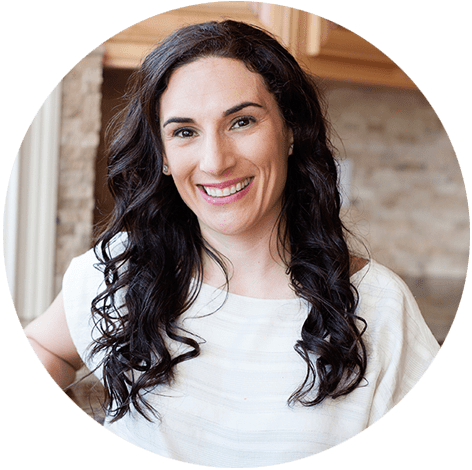 Combine their compartmentalized convenience plus one of the MOMables lunch menus, and I can pack lunch for the entire family by just changing the portion size! BPA–free and made from food-grade stainless steel, LunchBots are 100% reusable and 100% recyclable. I also love all the fun color options there are for the lids! A great way to express your personality through your lunch box. Whether you use an Uno, Duo, Trio, or Quad, the possibilities are endless for great lunches for the entire family. The Trio and Quad, specifically, are great for kids’ lunches because it allows you to divide your food into three or four compartments. You can easily pack Bento-style lunches without the tediousness of cutting food into cute shapes. They give you more capabilities to be creative, and to keep food from touching for those picky eaters in your family! Each space provides enough room to pack nutritious fruits, vegetables, protein, and more. Different size containers for different size appetites—perfect! LunchBots also come in handy for keeping dinner leftovers in. With their spacious sections, you can easily store tonight’s dinner in them to enjoy for lunch the next day or even to use as ingredients in your next meal. Avoid the use of wasteful baggies, foil, and plastic wraps! Instead, start packing in these Bots that will keep your food not only from getting squished, but are environmentally friendly as well. Did I mention they are sturdy? The ones in our MOMables test kitchen are 3 years old and still feel and function like new! my boy LOVES his edamame!!!! My son loves any fruit especially strawberries in his lunch. I would pack my son’s favorite,raspberries,blueberries,chick peas! My son would mostly take sandwiches cut into shapes with cookie cutters. My daughter loves broccoli, olives, peas, green beans, boiled egss, and the list goes on…. I follow MOMables on Facebook. Kids are grown, but when I was packing lunches, turkey and cheese wraps, were one of their favorites! I follow LunchBots on FB. I Follow MOMables on FB. My son’s favorite lunch item is what he calls “bug juice”. It’s kefir in a pouch. My kids would love ANY fruit or veggie in their lunch! I now follow lunchbots on facebook. My daughter loves sandwich “strips” and fruit! I would pack my son fruit and crackers. He would happily eat just crackers, but I pack him fruit anyways, and if it comes home uneaten, he gets it for snack – so sections are a plus, since they keep the fruit separate from the cracker crumbs. My son loves pasta salad and carrot sticks. I liked Momables and LunchBots on FB and followed both on twitter. Also shared on my FB wall. I just asked my 5 year old daughter what her fav thing I pack in her lunch is and she replied, “Tomato and bocconcini salad with fresh basil”. She loves to make mini bite appetizers with a tomato, a bocconcini, a basil leaf and a toothpick! I would love to pack fruits and veggies in a lunchbot! My son loves ham and/or salami with cheese and crackers, with lots of fruit and veggies. He did LOVE the ham and pineapple skewers. I now follow LunchBots on Facebook too :-) Thanks for the giveaway! My youngest would love cucumber shapes & ranch. Every. Single. Meal! My oldest loves Peanut Butter and Jelly and whatever fruit we have. My middle child likes ham/turkey and cheese sandwiches or wraps, and my youngest LOVES strawberries (or Straw-bees as he calls them). I also like MOMables and LunchBots on Facebook. My kids would like a peanut butter sandwich, apple slices, and yogurt. Also liked Lunchbots on FB. I liked Momables on FB. My son loves salad with ranch dressing. My son’s favorite thing to take for lunch is fruit and a turkey sandwich. LunchBots would work great for this. I liked LunchBots on FB. My son loves leftovers for lunch. We have a couple of Funtainers that I use almost everyday to send him something hot for lunch, usually some leftover soup, casserole or a baked potato. He jokes that his friends say his lunch is always the best (esp since they all buy their lunch in the cafeteria–blech!). Makes me smile! One would have a Zbar and the other a great combo of food, nicely packed! We always pack fresh fruit…strawberries, blueberries, watermelon…whatever is on hand! I just ‘liked’ you on Facebook! I don’t have a picky eater (thank goodness), but I do run out of lunch ideas. I look forward to some different options! No matter what side choice I give my daughter, she always wants applesauce! Fav lunch is fresh fruit and yogurt! I have never heard of these before! They look amazing! If I win it is going to be perfect to pack and separate my daughter’s oranges and peaches! fruit ! My kids love fruit! follow on facebook and shared! My kiddo loves peanut butter waffles! My sons favorite lunch is PB&J, apples, cheese stick, fruit juice. I like MOMables on facebook. 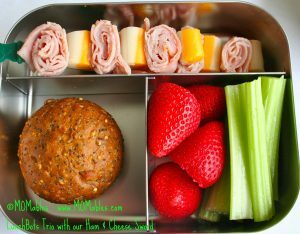 My daughter’s favourite lunch to be packed in a LunchBot would be cheese, ham and crackers with veggies and dip. I’m about to go share the post on FB. My son’s favorite packed lunch is cheese and crackers, with olives and carrots. I liked LunchBots on FB! I like MOMables on FB! I’d pack hummus with pita chips! My son is obsessed with gluten free pancakes with peanut butter and jelly made into sandwiches. The one item my son must have in his lunch is fruit. He absolutely loves raspberries,blueberries, strawberries and grapes. This product looks perfect. I follow movables on Facebook. I follow lunch bots on Facebook. Raspberries filled with Nutella, pea pods, black beans with cheese, tiny rice cakes. My daughters’ favorite lunch is hummus and trader joe’s flat breads with a side of berries. Max eats a PB&J every day for lunch! Add to that some sliced up cucumbers and an apple or banana and he’s good to go! I follow MOMables on Facebook! My kids love chef salads! Turkey, cheese – in a tortilla and then LOADS of pickles in one of the side compartments! YUM! I follow you and lunchbots on Twitter. The most requested item I get is grapes. My daughter’s favorite thing right now is ants-on-a-log! Follow LunchBots on Facebook ! Follow MOMables on Facebook ! My daughter’s favorite is grilled salmon and steamed broccoli! I liked Momables on FB! My almost one year old loves rice and carrots! She’d be the hippest kid in daycare for sure! I also follow you and lunchbots on Facebook! i follow MOMables on fb! i follow Lunchbots on fb! We love LunchBots. My kid’s fav is mini pizzas. I like lunchbots on FB! I love packing fresh fruit! OOPS -forgot to add my son’s fave lunch is PB&J! Lunchbots and Momables liked on Facebook. Sharing giveaway! I “liked” Lunchbots on Facebook! I “liked” Momables on Facebook! My son would love to take homemade pizza “lunchables” in one of these! My son’s favorite is turkey, cheese and olives! And of course, fruit! 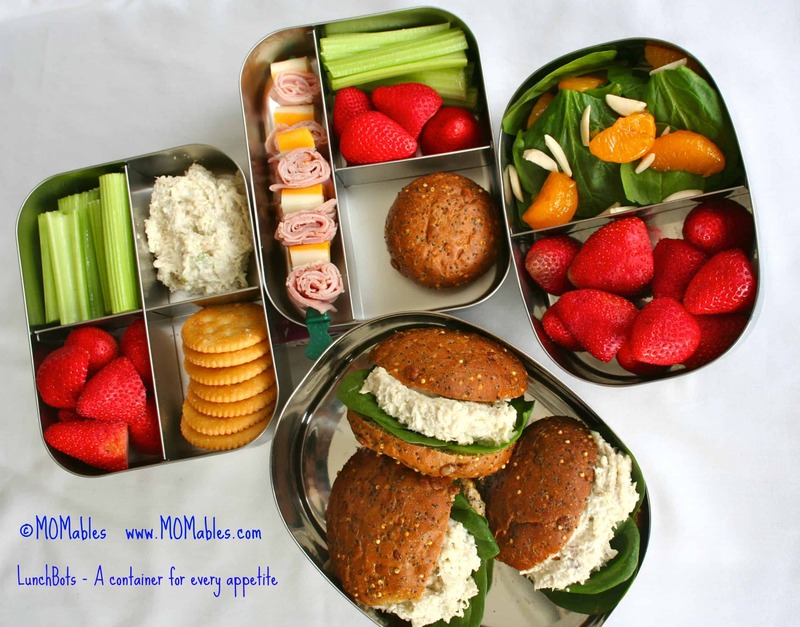 Kids love little bites of everything – bento style in their lunches. eg. crackers, fruit, veggies, ham and cheese bites. Lunchbots are great for that. My sons favorite lunch items are rice cakes and garden tomatoes! I would love to pack my child’s nutella and raspberry sandwich with a side of apples in a lunchbot! Spinach flatbread, cucumber slices, hummus, and strawberry slices. I would use one of your many yummy looking lunches! My kids love lunches with different sections for their sandwich fruit and veggies (sometimes one of the compartments has a little treat!!) I’ve never heard of this company before, thanks for sharing! I like LunchBots on facebook! I like Momables on facebook! My 2 year old’s favorite is a quesadilla with beans and rice! What a great giveaway!! My son loves half a salami sandwich with baby carrots and ranch dressing. He likes a side of banana chips and a tube of Stonyfield Organic yogurt. My son’s favorite is sandwiches and cherry tomatoes! I follow MOMables and LunchBots on FaceBook, and I’ll share on both Bentoriffic and personal pages. I think our favorite thing to pack in our LunchBots is fresh fruit. Lentil meatloaf and blackberries!! MMMMMMMM the best :) Also love mixed salads with yogurt, granola, and strawberries. Mix it up a little with vegetable bean burger patties and brocolli with hard boiled egg. Followed you on FB. My daughters favorite lunch is sandwich roll up in whole wheat tortilla, vegis and fruit (loves Kiwi but any fruit will do). Also – my kiddo’s enjoy pistachios, bananas and almond butter with cinnamon in tortillas, and berries…. Shared this fantastic Giveaway on FB. Now follow Lunchbots on FB. Already follow Momables on FB. My son’s fav LunchBot meal are mini quiches and apple slices. My kids love fruit and cheese for snacks or lunches on the go. Following MOMables on Facebook . My kids favorites are crackers with turkey pepperoni and cheese slices (especially when the cheese is in shapes!) or turkey roll ups (cucumber wedge and cheese rolled in a slice of turkey. My younger son’s favorite items are the sandwiches made to look like sushi or the fun bites cut out sandwiches. The older son likes greek yogurt with granola and fruit on the side to make his own parfait! my daughter LOVES turkey & fruit in her lunches! My son loves my veggie lasagna with a salad. I follow bothe Momables and LunchBots on Facebook and on Twitter @ bunnymom4. I also shared on my wall on facebook. I would love to win a LunchBots Trio or Quad. My child’s favorite lunch item, which I would pack in a LunchBots, is fruit salad. I follow MOMables on Twitter. I just shared the giveaway. My kids favorite thing I pack in their lunches is fruit.